Jan van Ruysbroeck was a Flemish mystic. He led a life of asuterity, eventually founding a congregation in Groenendaal. His writings were widely circulated in his lifetime and he influenced an entire generation of Christian mystics. He was beatified on December 1st, 1908, by Pope St. Pius X. The writings here include The Adornment of the Spiritual Marriage, The Sparkling Stone, and, The Book of Supreme Truth. 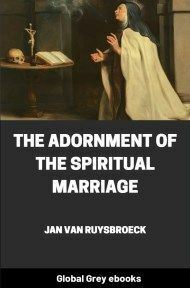 Jan van Ruysbroeck—three of whose most important works are here for the first time presented to English readers—is the greatest of the Flemish mystics, and must take high rank in any list of Christian contemplatives and saints. He was born in 1273, at the little village of Ruysbroeck or Ruusbroeck between Brussels and Hal, from which he takes his name; and spent his whole life within his native province of Brabant. At eleven years old, he is said to have run away from home and found his way to Brussels; where he was received by his uncle Jan Hinckaert, a canon of the Cathedral of St Gudule. Hinckaert, who was a man of great piety, lived with another devout priest named Francis van Coudenberg in the most austere fashion; entirely devoted to prayer and good works. The two ecclesiastics brought the boy up, and gave him a religious education, which evidently included considerable training in theology and philosophy: subjects for which he is said to have shown, even in boyhood, an astonishing aptitude. In 1317 he took orders, and obtained through his uncle's influence a prebend's stall in St Gudule; a position which he occupied for twenty-six years. During youth and early middle-age, then, Ruysbroeck lived in Brussels, fulfilling the ordinary duties of a cathedral chaplain: and here some of his earlier works may have been written. Here no doubt he developed that shrewd insight into human character to which his books bear witness; and here gained his experience of those "false mystics" and self-sufficient quietists so vividly described and sternly condemned in the second book of The Adornment of the Spiritual Marriage, in The Book of Truth, and other places. In the early fourteenth century a number of heretical sects, of which the Brethren of the Free Spirit were typical, flourished in the Low Countries. 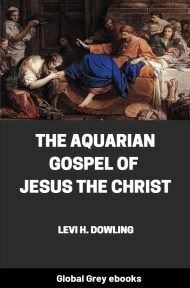 Basing their doctrine on a pantheistic and non-Christian conception of the Godhead, they proclaimed the "divinity of man," and preached a quietism of the most soul-destroying kind, together with an emancipation from the fetters of law and custom which often resulted in actual immorality. As Ruysbroeck grew in knowledge of the true contemplative life, the dangers attending on its perversion became ever more clear to him: and he entered upon that vigorous campaign against the heretical quietists which was the chief outward event of his Brussels period. As to his spiritual development during these years, we can have no certain knowledge: since none of his works are exactly dated, and the order in which they should be arranged is a matter of inference. But it is inherently probable that he was experiencing the early stages of that mysterious growth of the soul which he describes so exactly in the first two books of The Adornment of the Spiritual Marriage: the hard self-discipline, the enlightenment, raptures, and derelictions, of the "active" and "interior" life. At this period, he had made little impression on his contemporaries. The Augustinian canon Pomerius, who had known in their old age some of Ruysbroeck's friends and followers, and who wrote his Life in the year 1420, describes him as a simple, quiet, rather shabby-looking person, who "went about the streets of Brussels with his mind lifted up into God." Yet it is certain that great force of character, much shrewd common sense, and remarkable intellectual qualities lay behind this meek appearance. We know how greatly he disliked "singular conduct" in those who had given themselves to the spiritual life. They should be, he thought, like "other good men"; and this ideal found expression in his own life. 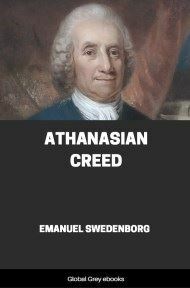 A devout and orthodox Catholic, well read in scholastic theology and philosophy, on the mental and social side at least, he was a thorough man of his time; apparently accepting without criticism its institutions and ideas. 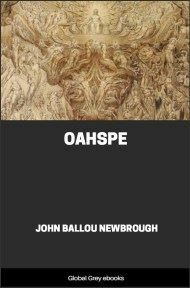 Many passages in his works indicate this: for instance, his constant and unquestioning use of the categories of mediaeval psychology, or his quiet assumption that "putting to the torture" is part of the business of a righteous judge. But on the spiritual side his period influenced him little. There, his concern was with truths which lie, as he says, "outside Time" in the Eternal Now; and when he is trying to interpret these to us the Middle Ages and their limitations fall away. Then we catch fragments which Plato or Plotinus on one hand, Hegel on the other, might recognise as the reports of one who had known and experienced the Reality for which they sought. "My words," said Ruysbroeck, "are strange, but those who love will understand": and this indeed is true, for he possessed in an extraordinary degree the power—which so many great mystics have lacked—of giving verbal and artistic expression to his soaring intuitions of Eternity. In 1343, when he was fifty years old, the growing sense of contrast between those intuitions and the religious formalism and unreality of the cathedral life, the distracting bustle of the town, reached a point at which it seems to have become unendurable to him. Together with Hinckaert and Coudenberg—both now old men—he left Brussels for ever; all three intending to settle in some lonely country place, where they could devote themselves to the life of prayer and contemplation. They were given the old hermitage of Groenendael, or the Green Valley, in the forest of Soignes outside Brussels. There they were presently joined by disciples, and formed a small community, which was eventually placed under the rule of the Augustinian canons. Coudenberg became the provost and Ruysbroeck the prior; and under their government the priory of Groenendael soon became known as the home of a special holiness.